Google URL builder is an absolutely essential tool for making more money from your campaigns. When you read this article you’ll understand why. How do you track how many people click on the links you share on social channels such as Facebook, Twitter or LinkedIn? What happens when you share the same link in an e-mail? Are you tracking which link got the best results? When you look at Google analytics you can see the different channels that generated the traffic (e.g. Facebook, Twitter etc) but you can’t drill it down to specific links shared. At times, you want to really understand where the traffic you generated came from. The Google URL builder was developed to help marketers address this challenge and this is the Google URL builder tutorial you need. When you create a link using the URL builder you can tag additional information to the link that describes what the link is about, where the traffic came from when it lands on your site, and much more. So let’s go through some useful tips on how to use Google URL builder to achieve more success with your online marketing campaigns. 1. What is the process for using the Google URL builder? First, decide on a link you want to share in a campaign and then go to the Google URL builder and fill out a form related to this link. The tool will then generate a much longer link that will have additional information about your campaign in it. This is known as link tagging – you’re tagging additional information onto the link so its easier for you to track links from different campaigns and, more importantly, to attribute traffic to specific links. 2. Will you share out that link? The link will be quite long so I’d advise against sharing it ‘as is.’ Instead, use a URL shortener service such as Bitly that will shorten the link for you. Just go to their website and copy in your link to get a shortened link that’s ready for sharing. 3. When I share the link what happens? 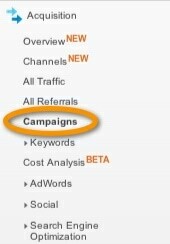 When someone clicks on the link you can view details about this in Google Analytics under the Campaigns section. From there you can see how many people clicked on the link and what were the results. If you create separate links for social channels, email, etc. you can drill down and see which was the most successful. This wouldn’t be possible if you didn’t track your links with google’s URL tracking tool. This defines where you are posting your content. For example, Facebook, Twitter, LinkedIn etc. Facebook Advertising – this is a link shared through an advertising campaign. 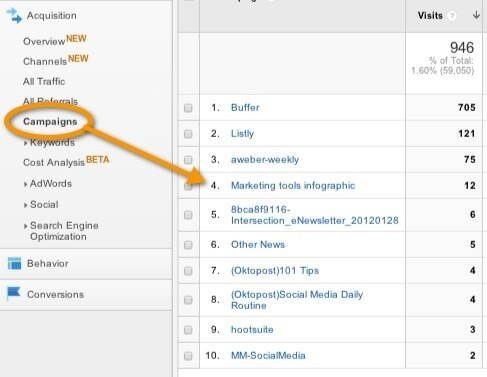 Now you can view Google Analytics and figure out which generated you the revenue, the advertising or the Facebook post. This is where you’ll name your campaign and it’s very useful to do so, especially if you run multiple campaigns simultaneously. Give a unique name to each link you want to track so you can easily find it in Google Analytics. This is an optional field and is used to mention the keywords you are using as part of your advertising campaigns. The best example of using campaign content is in an e-mail. Or you could use different content parameters in the same e-mail for the same URL and just track which link is clicked in what location e.g. You can see all the additional parameters added. It might look a bit technical but if you look closely you can see source=, medium= and campaign=. This is great for tracking where these links were clicked and what happened as a result of the clicks. 6. How do I view this in Google analytics? If I click on this then I can see further details. We see the source and medium. As this was a link shared out on Twitter we set the source as ‘Twitter’. We set the medium as a ‘Tweet’. If we were doing some advertising with this link on twitter we could have a medium of ‘Twitter advertising’. Can you see how this is so beneficial? You are no longer looking at analytics trying to figure out what worked/didn’t work. Now google is tracking every URL you share in your campaigns making it easier to understand how each individual campaign has performed. You may not use Google URL builder for every link your share, but if you’re running a particular campaign and want to assess the value you get from the platforms you use, then it can be extremely helpful. For example, this type of link tracking will help you understand if a Facebook ad worked better than a Facebook post or a tweet. With this kind of insight, you’ll be much better equipped to plan future campaigns. 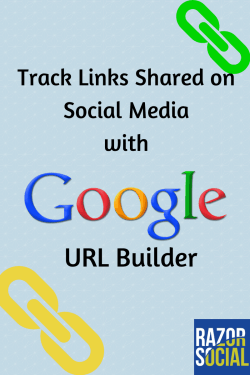 Have you used Google URL builder before to track links? Were you happy with the results? I’d love to hear from you in the comments!